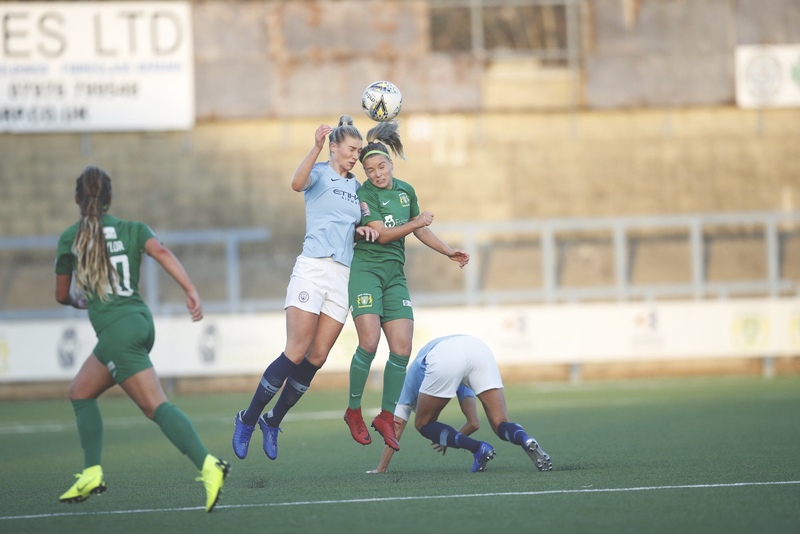 Despite a hugely impressive second half performance from Yeovil Town Ladies, Manchester City Women came away from The Clayson Stadium with all three points, setting up a huge match next weekend when they face league leaders, Arsenal Women. 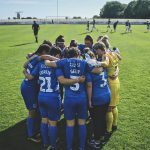 With Arsenal looking like they are trying to emulate their male counterparts’ invincible season of 2003–04, it was vital that the blues sent a message that they are still fighting for the Women’s Super League title. Yeovil Town Ladies have had a tough time so far this season. After a few heavy defeats, The Glovers have shown encouraging signs of improvement. 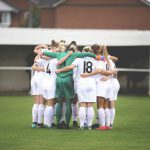 They were unfortunate to be on the wrong side of four narrow 2-1 defeats in a row and then they grabbed a famous 1-0 win against Everton Ladies. 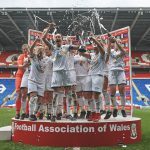 That result meant that matchwinner, Hannah Short, had a busy Monday as she was featured on pretty much every news outlet in the United Kingdom that day. 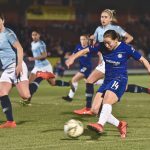 The fixture generator hasn’t been kind, while Yeovil were riding high and looking to build on that win, they were handed two really tough games against high flying Chelsea FC Women and Man City, both sides containing a host of international stars. Liv Fergusson started as a lone striker with Lee Burch’s side knowing that they needed to be compact, organised and avoid conceding early. In the early stages, Manchester City had the vast majority of the possession and pinned Yeovil in their own half. Caroline Weir, Jill Scott and Demi Stokes had early shots but none managed to trouble Meg Walsh in the Yeovil goal. 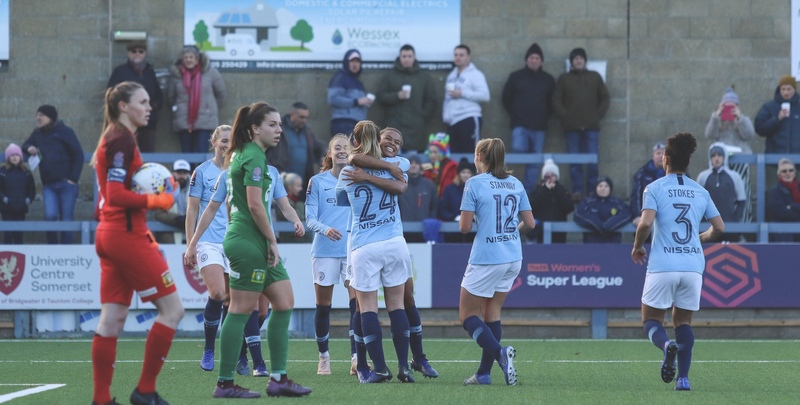 In the 17th minute Nikita Parris opened the scoring with a goal from close range after Keira Walsh’s cross evaded her named sake in the Yeovil goal. Tessa Wullaert looked bright and dangerous throughout the first half. The Belgian international always looked to be positive on the ball and kept the Yeovil defence on their toes at all times. At the other end Liv Fergusson was working tirelessly up front her own but getting passed Steph Houghton and the City defence single-handedly was asking a lot. Emily Syme and Amber Gaylor did their best to support her but City were able to hold them at bay. Kiera Walsh then picked up her second assist of the day when she set up Weir to fire home to make it 2-0 going into half-time. 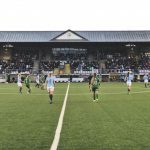 For me, Yeovil Town gave Manchester City far too much respect in the first half and had they showed a bit more confidence in their own ability then they would have caused City problems. That must have also been Lee Burch‘s message at half-time because Yeovil looked like a much more positive side in the second half. 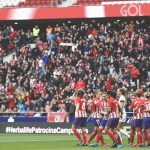 As temperatures were dropping I left my seat to grab a cuppa and as I walked back I passed Ellie Roebucks‘ goal as the home side had a corner. 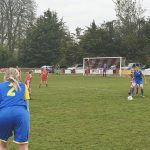 I had a superb view as Annie Heatherson nearly pulled one back as her free header cannoned off the crossbar. Yeovil didn’t let that disappointment affect them and they maintained pressure on Houghton and co. My player of the match, Gaylor and Fergusson both looked lively had chances to score but were unable to convert. 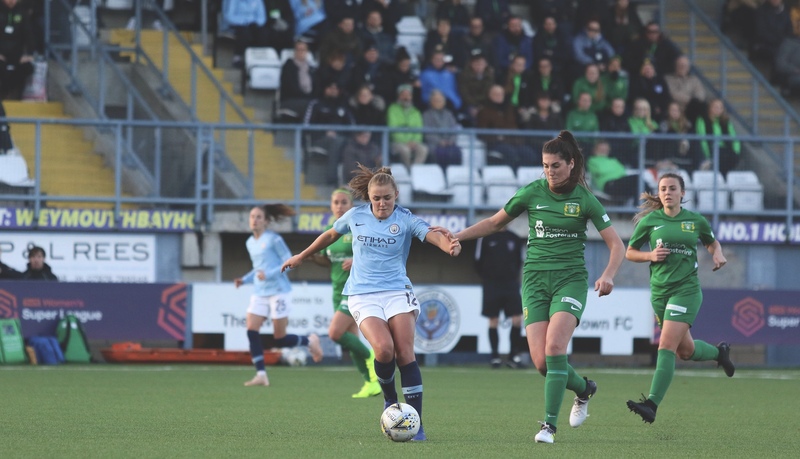 City boss, Nick Cushing brought on the trio of Janine Beckie, Claire Emslie and Abbie McManus, while Burch responded with a pair of substitutions of his own, bringing on Erin Bloomfield and Shannon Albuery for the industrious Fergusson. 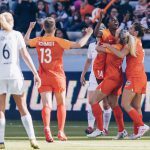 Manchester City weathered the storm and had impressive Houghton to thank for killing the game as a contest in the 83rd minute. 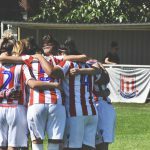 She hit a low free-kick into the bottom left-hand corner of the goal. There was still time for Emslie to calmly finish passed Meg Walsh make it 4-0 to the visitors. Very harsh on the Glovers who deserved more out of the game. Fans of Yeovil can be proud of their team and will hope that they can carry this form into their next game against Birmingham City Women. Yeovil Town Ladies have two new fans in Thom and I. We had such a wonderful time and were made to feel really welcome by everyone at what appears to be a fantastic club. We’re already looking forward to our next trip in the new year. Unused subs: Howard, Donovan, Buxton, Burridge, Piggott. Unused subs: Stenson, Morgan, Emslie, Park, Nadim.